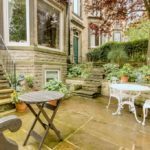 An impressive Edwardian end terrace property set over four floors with a wealth of features and located in the highly sought after area just off Gargrave Road. 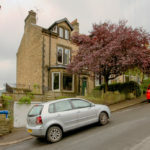 LOCATION West Bank Road is located in the North of Skipton in the highly sought after and prestigious area off Gargrave Road. 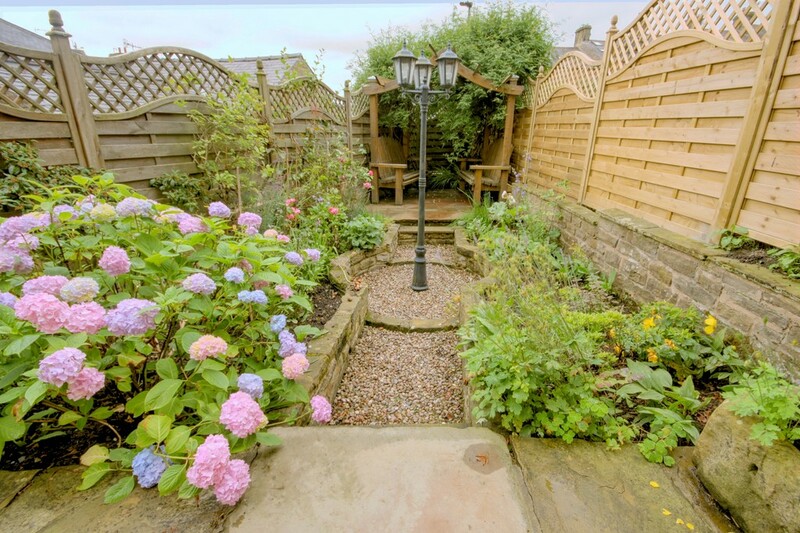 The historic market town of Skipton provides comprehensive shopping and leisure facilities and is famous for its four days a week street market which was voted best market day out in Yorkshire by Yorkshire Post readers. 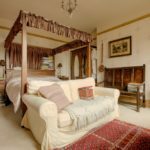 The town also has one of the best kept castles in the country and benefits from excellent primary and secondary schools, with two of the town’s secondary schools appearing consistently within the top three of North Yorkshire’s school league tables. 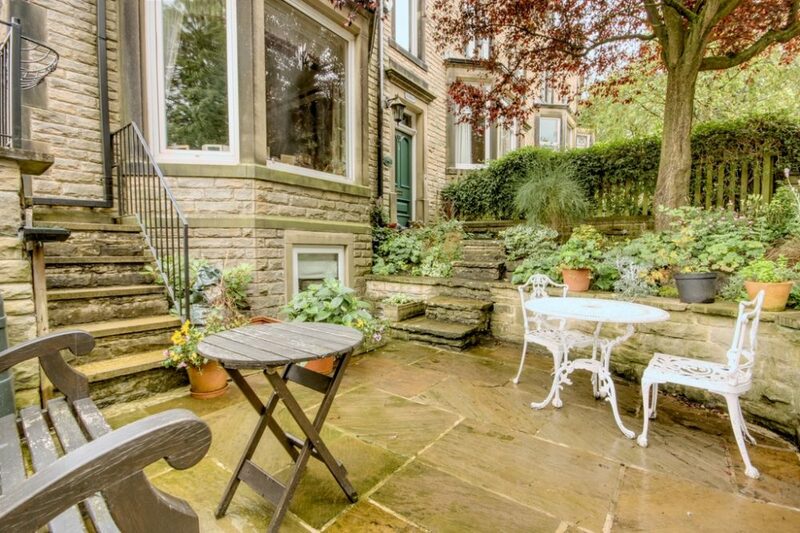 DESCRIPTION This impressive Edwardian end terrace property has been returned to its original glory in recent years with many of its original features being returned. 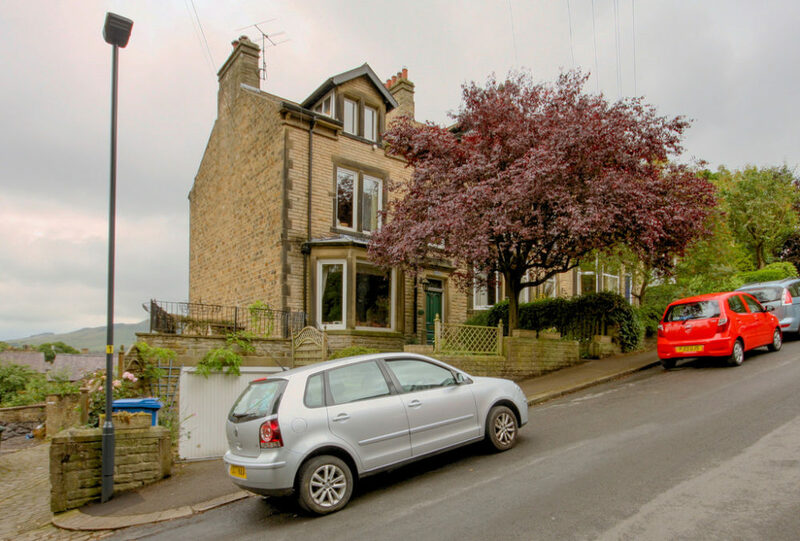 The property includes both a five bedroom family home with an additional one bedroom lower ground floor apartment. It also boasts off street parking and detached garage. ENTRANCE LOBBY A timber front door leads into the impressive entrance lobby with glazed screen and door into the main hallway. 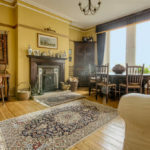 Its tastefully decorated with ceiling coving, original Edwardian tiled walls to dado rail height, mosaic tiled floor and stained glass fan light over the door. HALLWAY Includes ceiling coving and rose, painted timber panels to dado rail height with exposed floor boards, built in timber bookcase, waxed panel doors and architrave. Doors lead to the front room, dining room, kitchen and basement apartment with full depth understair cupboard. 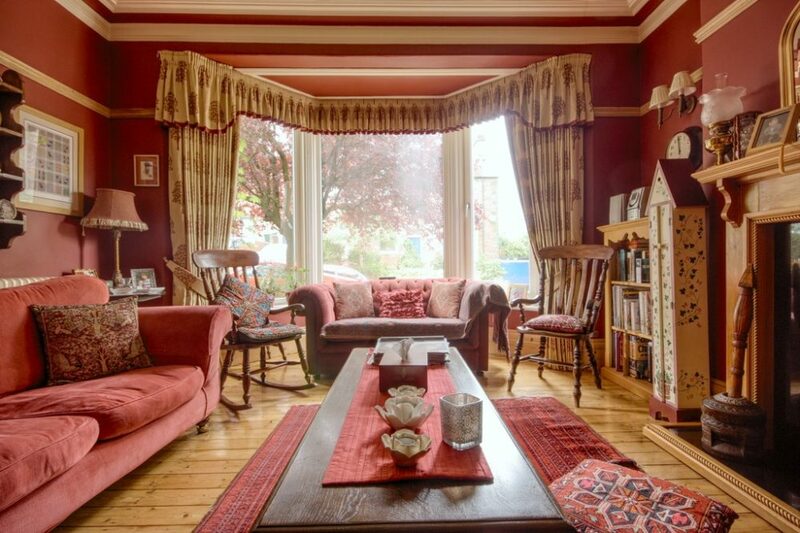 LIVING ROOM 16′ 8" (into bay) x 14′ 2" (max) (5.10m x 4.33m) Tastefully decorated and in keeping with the period of the house, the front room includes ceiling coving, rose, high ceilings, feature fireplace with timber mantel, marble hearth and inset with living flame fire. 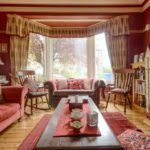 A large bay window provides ample natural light and overlooks the front patio area. 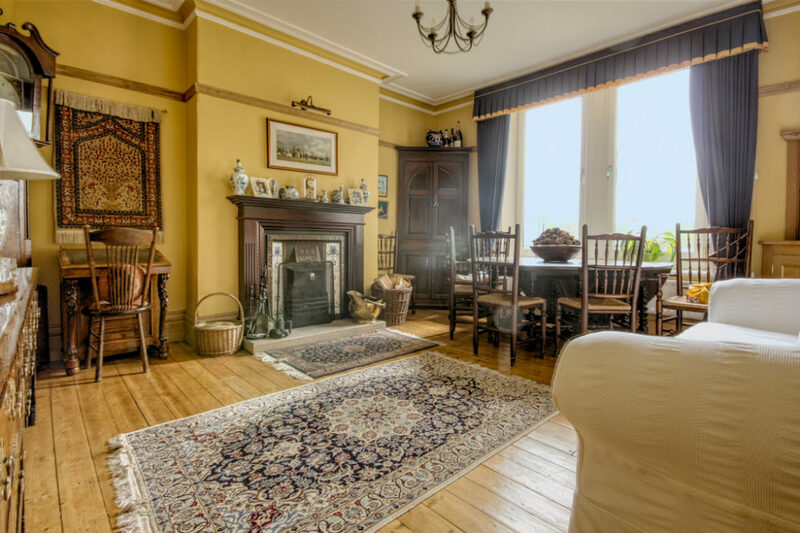 Also provides exposed timber floor boards and antique radiator. 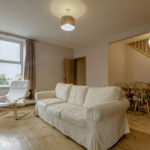 DINING ROOM 15′ 5" x 14′ 3" (max) (4.72m x 4.36m) A spacious room with coving and ceiling rose, timber picture rail, high waxed skirting boards and exposed floor boards. A large upvc window offers stunning views across Skipton and the valley beyond. A period fireplace with open fire, including timber mantel with stone hearth, metal inset and tiled cheeks. There is also a built in corner unit and serving hatch from the kitchen. 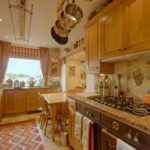 KITCHEN 14′ 3" x 8′ 10" (4.35m x 2.70m) The well equipped kitchen has been designed to make full use of the space and includes handmade oak wall and base units with granite worktops and complementary tiled splashbacks. There is a built in ‘Neff’ double oven with five ring gas hob, hidden large extractor over, ‘Neff’ dishwasher and under unit electric heaters. 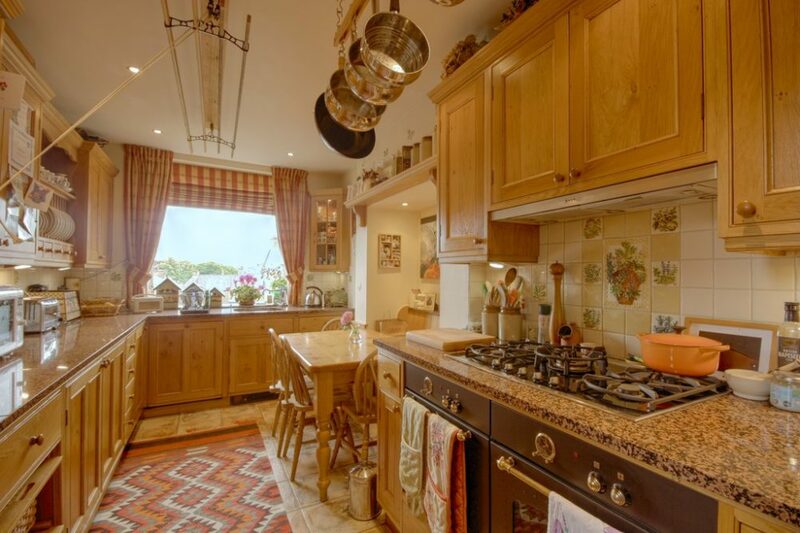 Also provides recessed sink with mixer tap, inset ceiling lights, tiled floor and large window with fantastic views. A built in timber bench and table allows a less formal eating area. LANDING Timber stairs and balustrade with dado rail and panelling lead to the first floor landing with doors leading to the three bedrooms and house bathroom. Stairs also lead to the second floor. Also includes dado rail, built in book shelving and radiator cover. 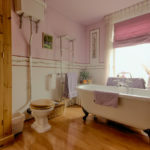 HOUSE BATHROOM 10′ 8" x 8′ 10" (3.27m x 2.70m) A large opulent period style bathroom with dado tiling, roll top bath with mixer tap and shower attachment, inset ceiling lights, laminate flooring and period radiator with chrome towel rail. Also provides a ‘Heritage’ high cistern wc with chain, ‘Heritage’ pedestal wash hand basin, a built in timber cupboard with panel door houses the ‘Potterton28i’ gas combination boiler. 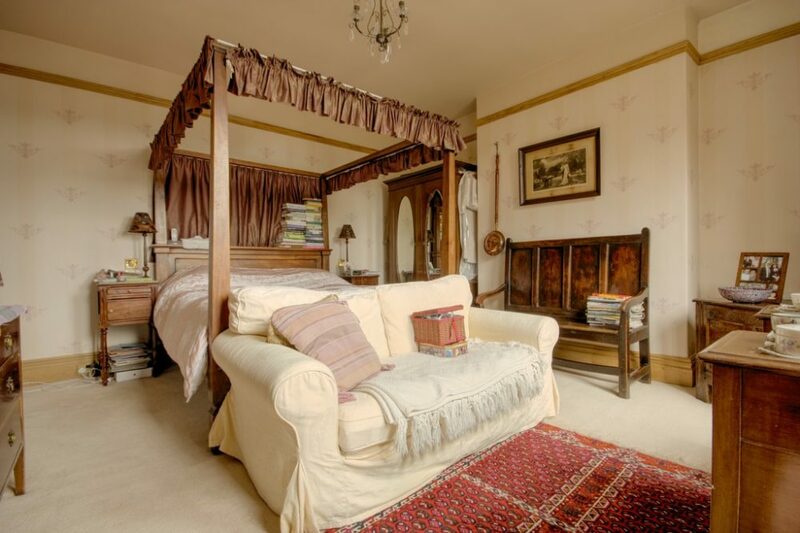 MASTER BEDROOM 15′ 6" (max) 14′ 3" (4.74m (max) x 4.36m) A large double bedroom with picture rail and a large window with fantastic views. ENSUITE 7′ 6" (max) 5′ 4" (2.31m (max) x 1.63m) Includes a corner shower cubicle with thermostatic controls, a period high cistern wc, pedestal wash hand basin and recessed ceiling lights. 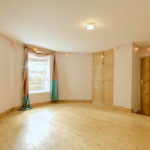 BEDROOM TWO 13′ 2" x 12′ 11" (4.02m x 3.95m) A large double bedroom with picture rail, laminate flooring, high skirting and large window overlooking the front of the property. 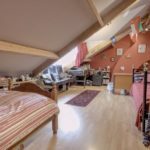 BEDROOM THREE 9′ 4" x 8′ 0" (2.86m x 2.44m) A very good sized single bedroom with picture rail and laminate flooring. LANDING Stairs lead to the second floor with Velux roof light, dado rail, high ceiling and doors to two additional bedrooms and shower room. Also includes a deep understair storage cupboard. 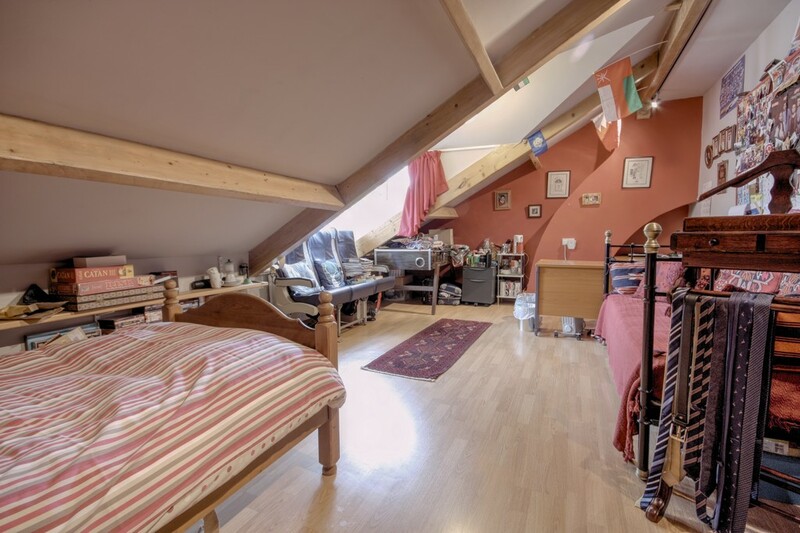 BEDROOM FOUR 21′ 2" x 13′ 1" (into eaves) (6.46m x 4.01m) A superb attic bedroom with dormer window overlooking West Bank Road with ceiling track angle lighting, laminate floor covering and exposed beams. SHOWER ROOM 5′ 4" x 5′ 1" (1.63m x 1.55m) Includes shower cubicle with ‘Mira Sport’ electric shower, pedestal wash hand basin, wc and tiled to dado rail and around the shower. 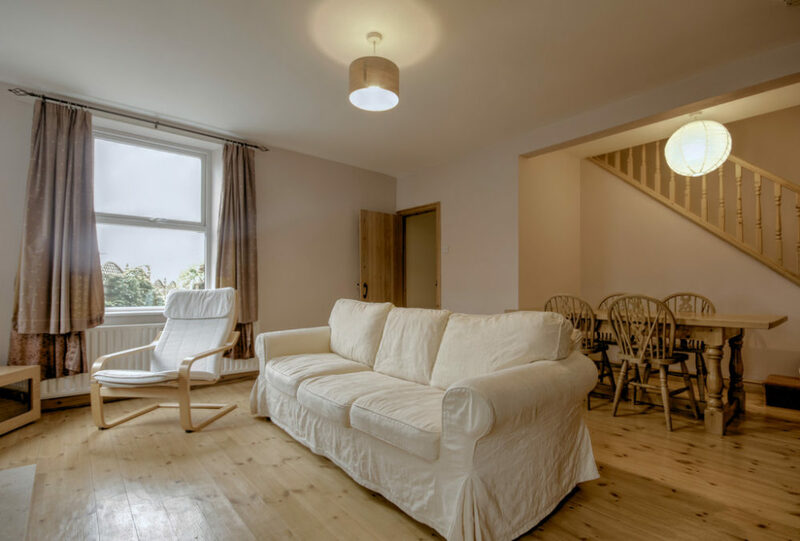 LIVING ROOM 14′ 11" x 14′ 3" (min) (4.57m x 4.36m) A bright and airy room with three large windows, exposed timber flooring and attractive fireplace including large timber surround, tile insert and living flame gas fire. ENTRANCE LOBBY With timber panel walls to dado height, upvc door with opaque glazing and recessed matt well. Also provides useful storage cupboard. HALLWAY Doors lead to kitchen, bathroom and understair storage area (which provides space for a fridge/freezer). 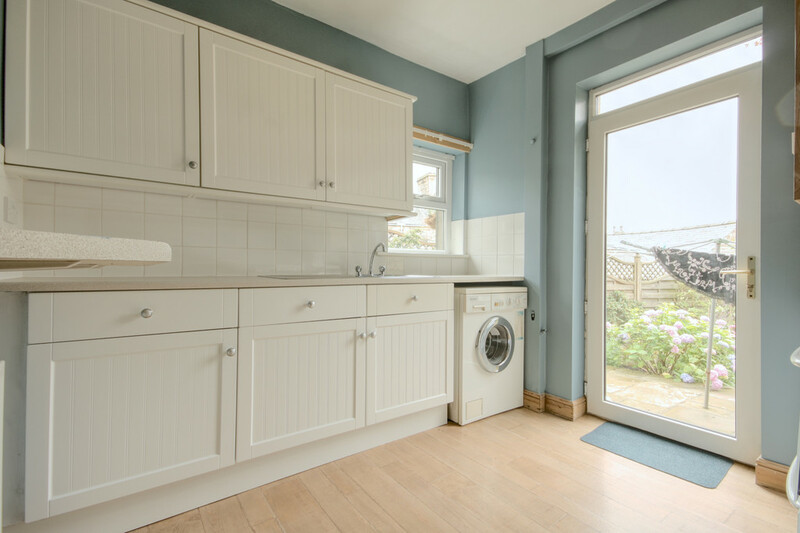 KITCHEN 10′ 0" (max) x 8′ 8" (3.07m x 2.65m) A light and airy space with three large windows and glazed door which leads out to the garden. 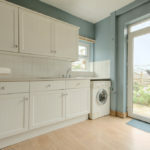 Includes white wall and base units, complementing worktops, recessed stainless steel sink with drainer and mixer tap. A built in timber cupboard houses the ‘Potterton Performa 28i’ gas combination boiler. Also space for washing machine, fridge and electric cooker. 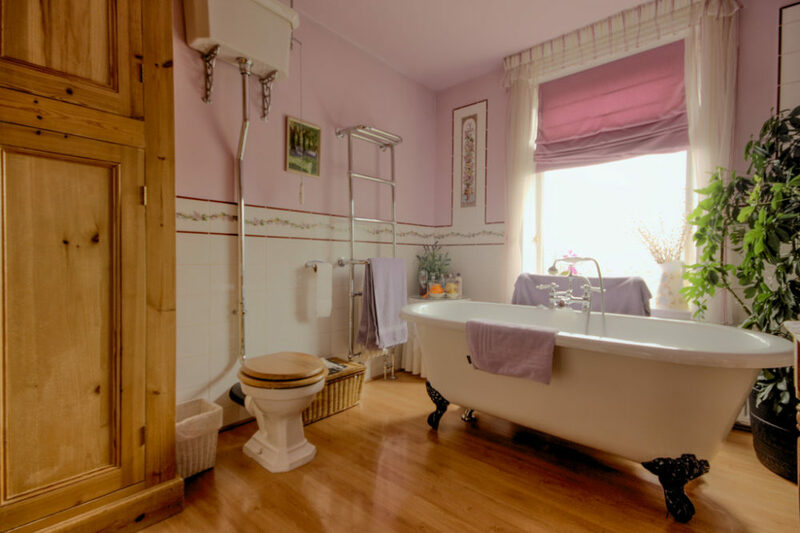 BATHROOM 7′ 6" x 5′ 5" (2.29m x 1.67m) Fully tiled and includes panel bath with ‘Mira Excel’ shower over and folding shower screen, Cottage pedestal wash hand basin, wc, wall mounted electric heated towel rail, built in cupboard with shelving and laminate flooring. 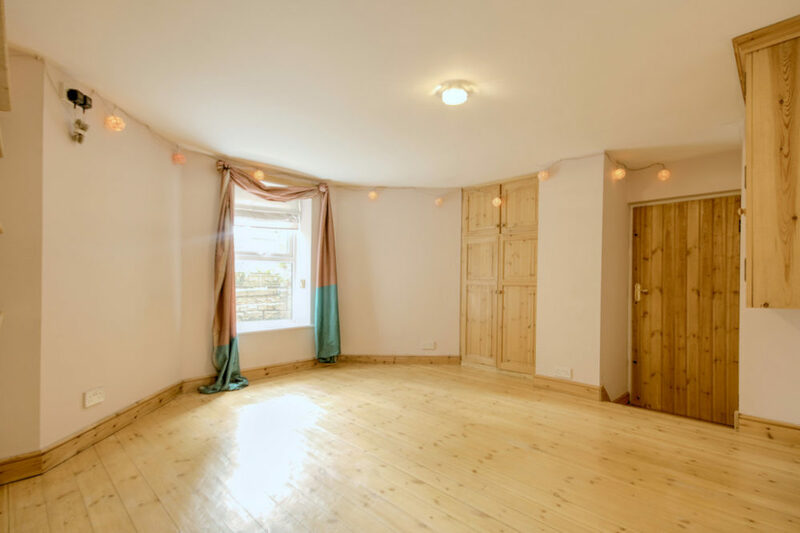 BEDROOM 12′ 9" x 12′ 5" (into bay) (3.89m x 3.79m) Located off the living room this double bedroom has timber flooring, built in timber cupboard and window looking out to the front patio. Door leads to storage room. SINGLE GARAGE 15′ 7" x 9′ 2" (average) (4.75m x 2.80m) With ‘Comfort 220’ electric up and over door and opaque glazed window and glazed door leading to private rear garden. OUTSIDE To the front of the property is a fore garden with attractive patio area and to the side steps lead up over the garage to an additional raised patio area. 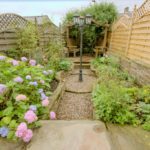 To the rear of the property is a superb private garden with raised flower beds including a mixture of well established shrubs and another seating area.